The Highland Fling follows a unique route that takes riders on a journey from the event centre down country lanes and onto farmland tracks, before directing them back into forests, including Penrose and Wingello State Forests. The course also gives riders access to some the beautiful private properties and the not otherwise accessible singletracks they feature, and challenges legs and lungs with some 2400 metres of climbing (Full Fling) – which of course means 2400 metres of descent as a reward! The Half Fling and Some Fling enjoy shorter versions of the Full Fling course, including the Jumping Rock private property section of singletrack (available to ride only during the Highland Fling). 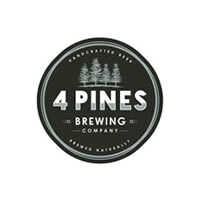 All distances see riders return to where they started in Bundanoon, riding through the finishing arch to the cheers of spectators on the sideline, and a well earned 4 Pines Beer as a reward. 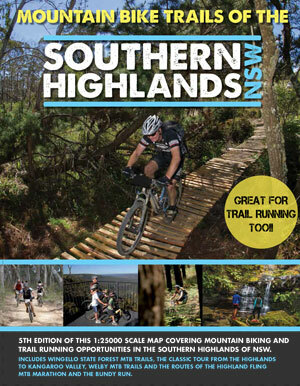 The 5th Edition of our MTB Trails of The Southern Highlands Map is now out and can be purchased for $19. This map includes the route of the Highland Fling. 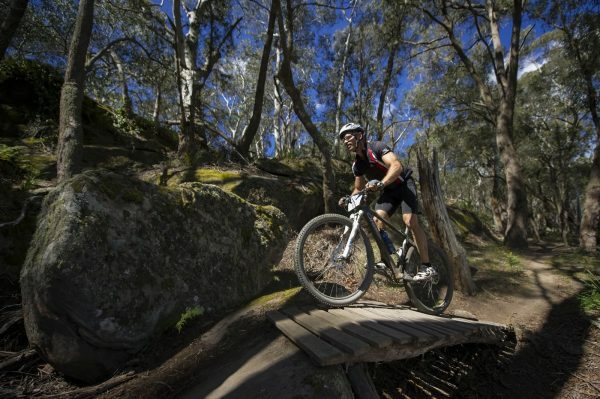 The Southern Highlands of NSW offers a wealth of riding opportunities for road and mountain bikers alike all within 2 hours of Sydney, 1.5 hours from Canberra and 1.5 hours from Wollongong. Quiet country roads, expansive State Forests and National Parks all make for a cycling and trail running paradise. This double sided map and guide suggests some of the rides available to mountain bikers/trail runners as well as covering a large area allowing you to plan your own rides. 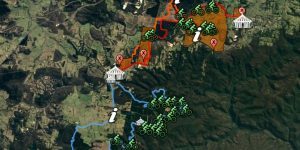 The 5th Edition of this 1:25000 scale map includes the route of The Highland Fling, the Wingello State Forest MTB Trails, the classic tour from the Highlands to Kangaroo Valley and much more. Price: $19 per copy (includes mailing). Click on the above image to use our interactive course map. Please note this route may not be the final route. Click on the above image to use our interactive course map. The Full Fling follows a unique course taking riders out from Bundanoon along undulating farm tracks into Penrose State Forest through the famed Free Bike Wash. After winding through the pines of Penrose, you’ll eventually wade across The Early Bath (yes we’re bringing this old icon out of retirement for the Final Fling!) and follow a mix of farm tracks and trails to Wingello to complete the Ground Effect Stage 1. From here, you head out on the Focus Stage 2, a loop through the beautiful forest and gully country of Wingello State Forest including the much loved Wingello singletrack to eventually return to Wingello village. In a twist for the Final Fling, you’re going to ride most of the singletrack in reverse! 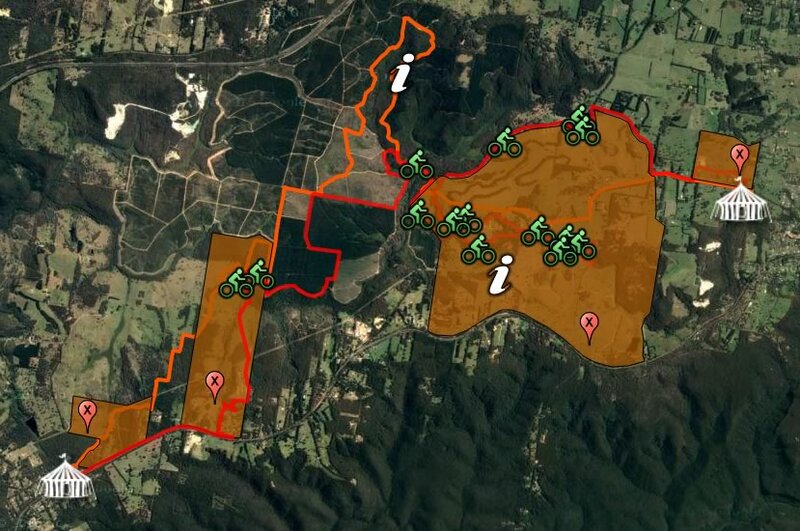 Leaving Wingello on a different route back into Penrose State Forest to then tackle the loop of singletrack on Jumping Rock on your way back to Bundanoon to complete the GU Stage 3. 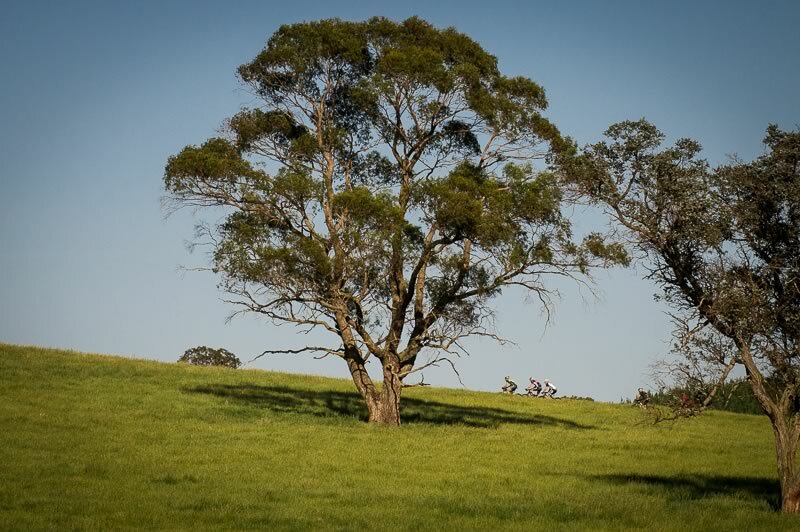 All but 4km of the route is on dirt – singletrack, open paddock, rough tracks or dirt roads. The profile includes a total of some 2400m of enjoyable climbing … and given you finish back where you started, that means 2400m of sweet downhill! The Full Fling has a test for you all! If you choose to ride the Half Fling, you’ll complete the Ground Effect and GU stages. Or if the Some Fling is your choice, you’ll enjoy the first section of the Ground Effect stage and the last half of the GU stage. Please do not attempt to ride the private property sections of the course at any time, as to do so will jeopardize the event. On leaving Ferndale Oval you will charge down a brief section of blacktop before hitting the dirt. After 2km or so you’ll enter private property and follow an undulating farm track out into Penrose SF, and your first opportunity to clean your bike(!) at the Free Bike Wash. Some Flingers will miss out on this opportunity, turning left and heading straight for the singletrack section of the GU stage (see below). The rest of the field ride along forest tracks through the pines of Penrose before eventually arriving at The Early Bath to cross Paddy’s River. How deep the bath is depends on how much the taps have been open in the weeks before…….Whatever the depth, we challenge anyone to ride across. A section through farm paddocks and private forest follows before you pop out into the Transition Zone at Bill O’Reilly Oval in Wingello village. 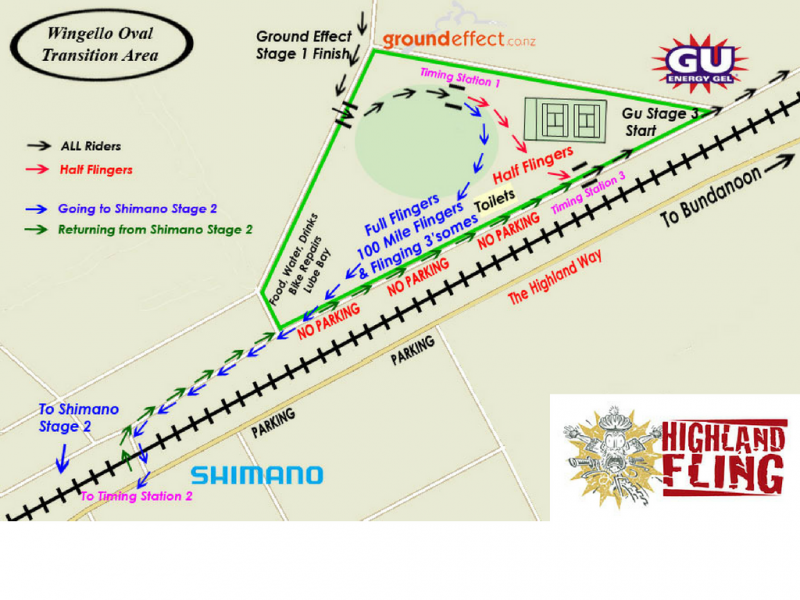 After passing through the timing station, Half Fling riders will proceed directly to the GU Stage 3 (see below). They can choose to stop here but their time will continue throughout the transition stop. The race times of Full Fling riders will be paused for a period of up to 5 minutes. The reason for this is the level crossing in Wingello. In order for riders to get to the start of the Focus Stage 2 safely and without being disadvantaged by having to wait at the level crossing in the unlikelihood of a train passing, we will allow a maximum of 5 minutes before your time automatically begins again. If you choose to proceed through the next timing station within 5 minutes, then your time starts again as soon as you pass through the timing station. If you have not passed through the timing station when the five minutes is up, then your time will start again automatically. The distance between the two timing stations is 1km, which should take approximately 3 minutes to complete at non race pace. You are not Racing between the Oval Timing Station and the Camden Street Timing Station. So, whether you linger for just a couple of minutes or take your time to get a bite to eat or drink, is up to you. At the Oval you’ll find a water station and feed station. There is also a shop on the south side of the railway crossing. This is the start and finish point for the Focus Stage 2. After just a couple of kilometres of dirt road, the Focus Stage 2 takes you in a big loop around Wingello State Forest. 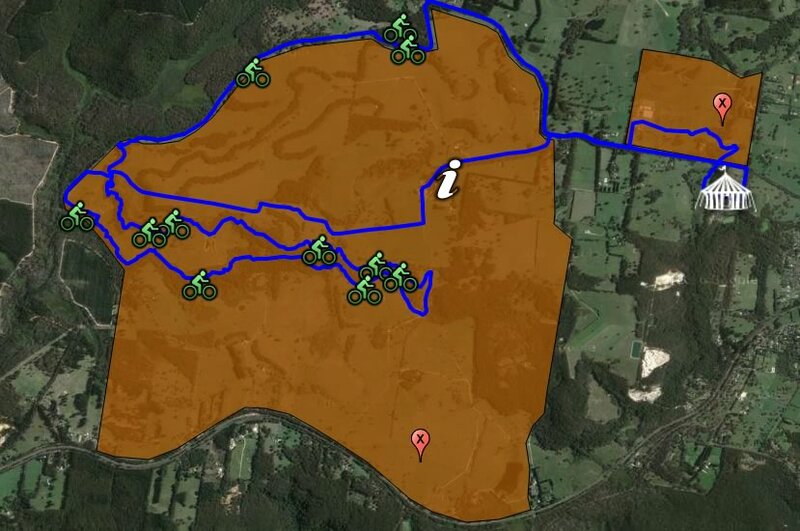 Keeping primarily to native forest sections, you’ll enjoy both scenic and challenging riding. But, as you know, we’re not backwards in coming forwards so in 2017 we’re going to reverse most (but not all!) of the route up to the Frequent Riders Lounge feed station. The journey will of course includes the superb network of singletrack – The Great Wall, Love Love Love, Dailemma, Flinging Scotsman, Tangles, Princess’ Revenge and more! But you’ll get to ride the singletrack in the ‘un’usual direction (it’s great!) and we’ll take you to a few other places we’ve never taken you before. 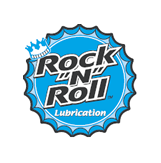 From the Frequent Rider’s Lounge we resume normal broadcasting…. You will descend into numerous gullies and will surely be feeling the climbs back out by the time you reach Halfway Hill. Some say Halfway Hill is the big down to the lowest point on the course. Others claim it to be the climb out. Let it be where you want it to be … Down and up you go and do the same again on The Kick. Once out of the basin the forest tracks allow for some fast progress, with occasional views across to the depths of the Shoalhaven Gorge in the Wild West, and on to the Outer Limits. The tracks roughen up a touch for the climb out to Bumballas Road. Then you’ll get a chance to spin the legs along the well-graded dirt back to Wingello. There’s a Feed Station, the Frequent Riders Lounge, about 31km into the Focus Stage. But don’t hang around too long at the Lounge – there is a cutoff time here of 1.30pm for Full Flingers. You will again pass through Camden Street timing station, at which point your time will pause for a period of up to 5 minutes. You should make your way safely back to Wingello Oval and to the next timing station. Again, the distance between the two is 1km, approximately 3 minutes’ ride at non race pace. Many will appreciate the break and take longer to refuel for the final push on the GU Stage to the finish line. Note that the two timing pauses are completely independent of each other, i.e. you can take a maximum of one 5 minute timing pause at each occasion rather than one 10 minute total pause over the two occasions. Therefore, taking 7 minutes at the second stop will still mean that your time starts automatically after 5 minutes, even if you only took 3 minutes at the first stop. Spin the legs along a flat dirt road before a sharp turn into private property. Rapidly alternating sections of single track, paddocks and farm roads bring you to the edge of Penrose village and and soon a brief return into Penrose SF. The Long Bath pops you back into private property onto Boundary Rider. Book your ride on the Rollercoaster, before winding along the river to Flatrock Crossing and up the hill to enter Sherwood Forest. A winding, sometimes challenging route of singletrack, farm track and paddock trail leads through Jim’s Joke, up Brokeback Mountain and down through Lawyer’s Leap. Don’t cook yourself in Baker’s Delight or Double Rubble before you end up out on the Great Sandy Desert with 8km to go. Decision time at Your Call awaits – go left for shorter and steeper, right for longer and leveller … decisions, decisions. Out onto a sealed road where The End is Nigh with 3km to go. But before you finish, there’s one last winding section of farm tracks to sap whatever energy you have left! Then it’s over, and you can say you’ve had your Fling, your Final Fling!